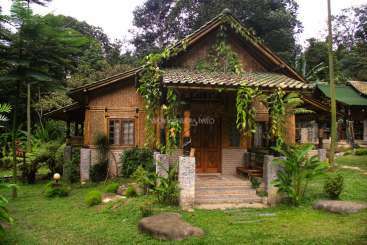 A resort style living guesthouse requires proactive volunteers. Experienced, friendly and PROACTIVE Volunteers required !! We are a small outfit (one-man show) that require your help in day-to-day running of our beautiful and one-of-a-kind resort in Malaysia. If you are outgoing and have experience in the service industry or are good with tools, gardening, and general upkeep or other skills; you are welcome! We require people that are willing to stay on site here for a minimum period of 7 days. The volunteers will be provided with free board. Food is sometimes provided (if there are resort guests and catering is provided for them), but you have access to two kitchens where you can prepare your own meals. We have internet access (not wifi though). You need to be familiar with at least 2 of the activities listed below. 1. Housekeeping (including cleaning of the rooms, common areas, bathrooms, changing the pillow covers and bed sheets). Cleaning also includes dusting the bamboo houses, sweeping the floors, and mopping the floors. 2. Maintenance (this means painting, repairing, oiling, taking care of the tools). This means you must know how to use tools effectively and safely, and possibly posses other amazing skills like woodworking or tooling or engineering skills. 3. Service Industry Skills (know how to work with booking, reservations, replying emails professionally, guest service relations, customer service experience). 4. Gardening/Landscaping (taking care of the grounds including cutting the grass and raking the leaves on a regular basis). Any other experience with gardening, or permaculture or landscaping is preferred. 5. If you feel you have other special skills that might be a contribution, please do let us know. WORKING HOURS: Full time (on call - generally 3-5 hours per day). NOTE: Once activities are completed volunteers are encouraged to relax and enjoy the nature, exploring the jungle, small waterfalls and hot-springs in the area and even Kuala Lumpur city. IMPORTANT NOTICE: this is a sanctuary. No alcohol or drugs are permitted. In return, our guests and friends get a unique life experience. Volunteers are also encouraged to mingle and communicate with resort guests. Meeting place is at LRT Station, Bandar Tasek Selatan (BTS), Meeting point near to the Customer Service Office/Stair/elevator/taxi/bus stop area. If you are interested, please contact us [email or call ONLY - no SMS]. Hakima been here for 2 weeks and she really comply with our term, "proactive volunteers" . Without any instructions She will do what is necessary such as house keeping, clean the garden area etc. I strongly recommended her . I stayed for two weeks in the here, and it was a kind of a fairytale escape from hectic metropolitan KL. It was an enriching experience since I did some housekeeping ( cleaning the rooms, changing bedsheets and pillows, and removing dead leaves from the ground and the fish ponds as well feeding them). There was some tv shooting, where I was… read more interviewed as a volunteer called "Penginapan Unik" = Unique accommodations. Bob and I had many interesting conversational both general and deep from religion to business to the bamboo cultivation. Besides, I've done some trekking on my day-offs, which helped inspire me to see raw jungle with its snakes, frogs, durian and different other Many exotic fruits. 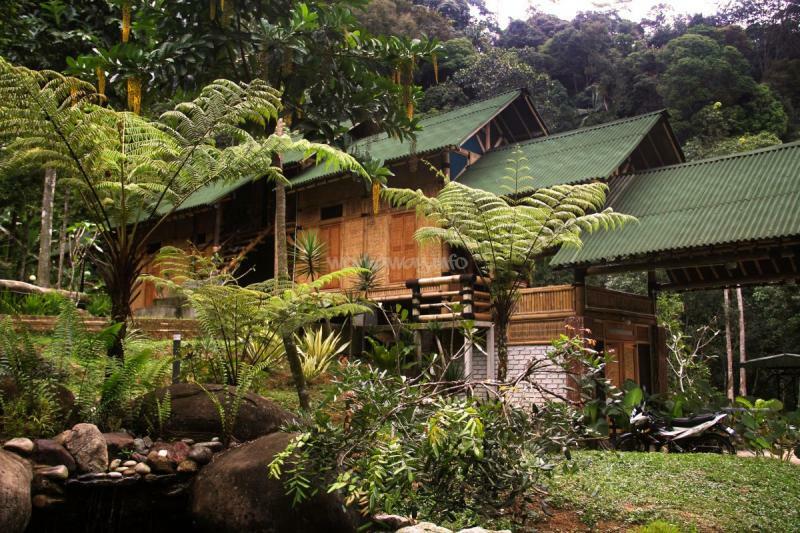 This place is exactly what we were looking for, calm, relaxed, far away from the big city and surrounded by the jungle. 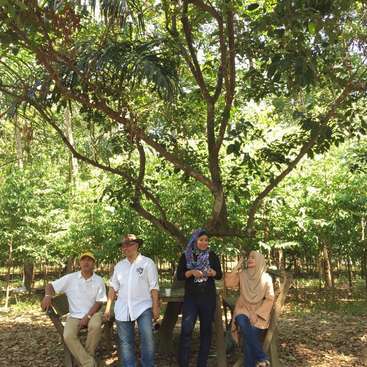 We also met some great people over there and we recommend this workaway without any doubt, but only if you like this kind of stay, close to the nature with basic comforts and in total relax, thanks again Bob and Ramadhan, we will be back soon to your place! Spent one week here and loved every second of it! The rhamadam is a person with A very kind heart and is super intresting to talk to! I feel like I now have a second home out in Malysia and look forward to visiting again!! Excellent! First official workaway and it really was a pure delight being able to work for Ramadan. He welcomed us with open arms. He described the work that he needed doing and after he left us to do our own thing. Not only was the place beautiful, but so were the people. We enjoyed sharing bbq with the customers and with the other volunteers we… read more stayed for 17 days and it started to feel like home would 100% return in the future what a beautiful place Ramadan has we miss it already. You also get to see the monkeys a lot village you shall be missed. Super first workaway experience, a peacefull place to stay. It is next to the jungle so you can see monkeys all day playing around. If you are a proactive person, you always find something to do. The atmosphere is nice and Ramadan and Bob are friendly and they make you feel comfortable since the very beginning. It was pretty hard to go there the… read more first time (I’ve been there twice). My advice is to take the bus 450 from the center of KL and get off in Suntex; from Suntex take the 406 till Desa Pelangi (ask to the drivers and stand next to them). It is going to cost you 4ringitt. You can easily reach the shop center by bus or walking and find cheap and good food! I highly recommend this experience to those are looking for an escape from the chaotic KL. From the very beginning Ramadhan and Bob made us feel welcomed and at home. We spent two weeks in this beautiful place. 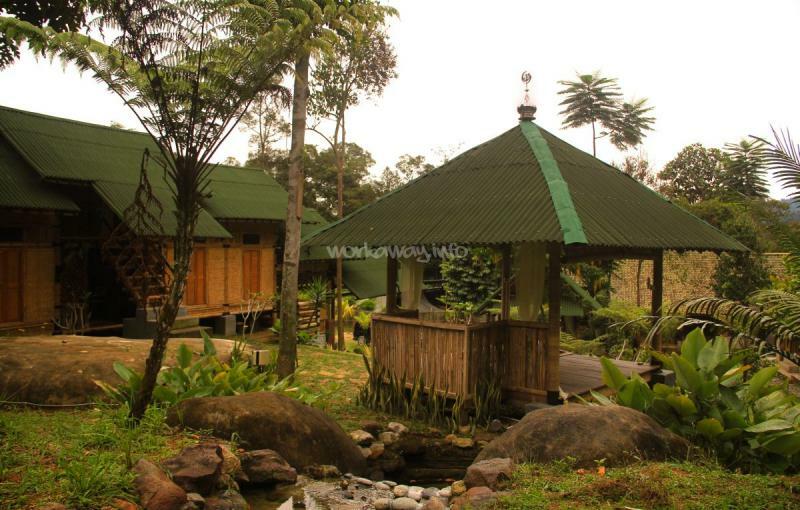 It is a quiet resort in the middle of the jungle with many spots for resting. Ramadan is very flexible with the work, if he needs you to do something, he won't hesitate to tell you. The work is not difficult, it is day-to-day… read more maintenance, gardening and routine works. There is also a kitchen where you can prepare and cook your own food. You can easily arrive to this place by the public buses, but it takes an hour and a half from KL center. We rested and relaxed a lot in this place, we had very nice and interesting conversations with both Ramadan and Bob. We learned a lot from them. Thank you so much for your great hospitality, hope we will see you again somewhere. We came to the Village for 1 week and we liked it so much, that we stayed here for almost one month. Place is beautiful and so close to the jungle. We totally recommend to stay here. Thanks to Rebecca and James. The are a great volunteers and has been spending a time at the village twice . I appreciate. Hope you guys will come again in future. This place always welcome both of you. We couldn't have asked for a better first Workaway experience! We spent 3 weeks there in total, helping with maintenance, looking after guests, varnishing a new bamboo house and building a path. We were lucky to share our time there with a lovely group of like-minded volunteers and had a great time! Ramadhan made us feel very welcome and free… read more to help with general chores or start our own small projects. He's one of the most laid back people we've ever met. Thanks for such a great experience Ramadhan! Immanual is a great woker via workaway. He help me a lot on day to day activities without any instruction from me. He really proactive type of person and being stay with me for more than 1 week. I strongly recommended . Thanks Immanual being such a good and dedicated worker. It is a realy peacefull place. So close to KL amazing. I enjoyed the stay. There was not much to do realy lad back. Gardening , housekeeping , keep the area clean that’s it. 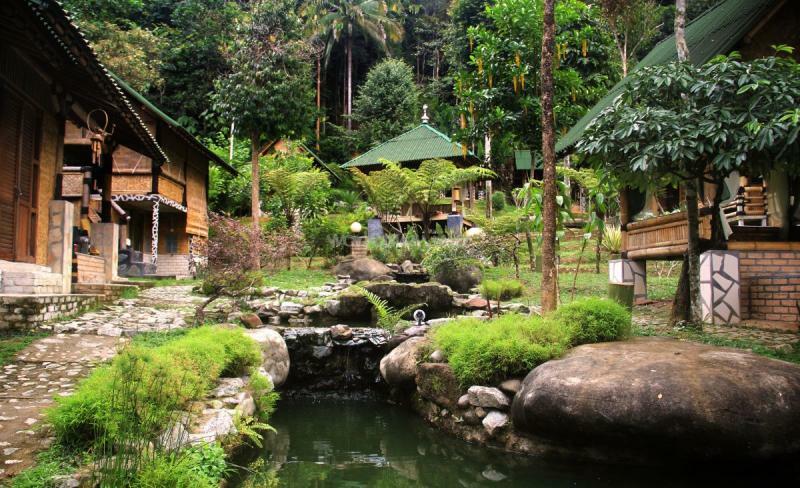 If you like nature and want to be away from the hustle and bustle of the city, then this is the place for you. It is quiet, except for the sound of frogs, crickets, birds etc. During my time at the Village, we worked in the garden, cleaned the fish pond and, replanted trees. We also kept the chalets clean for the guests. The owner is a friendly… read more and and welcoming. It's a short walk and bus ride away from the shops and the bus is super cheap. Staying and helping out here was an amazing experience! Watching the monkeys playing, listening to the birds, simply enjoying Mother Nature, and helping around the house was really relaxing. I never felt, I am actually working, rather, I felt, I am on a retreat. Ramadhan and Katini are really good people, helpful, caring, loving. Thank you for… read more these days, I truly hope, I will be back one day! This place was the first contact on WORKAWAY for us and we enjoy and learn to much. We stayed very good with Ramadan, Kartini and the other workers learning all the time the malasian food, culture and language. For sure is a good place to stay if you need a break and stay around the nature. Great place for volunteers from around the world! We got a great experience and closer to nature. The work is not hard, Ramadan good man. Thank you for hospitality Ramadan. The only negative that do not provide food. But it is not critical, because in the 30-45 minutes walk to the city, you can eat delicious and cheap. We often use… read more hitchhiking, so getting to the city and back for 10-15 minutes. All travelers seeking adventure recommend this place! Aaron and Marianna is a great worker.They help me search for bamboo in the jungle and all process related to bamboo industries.They are hard working and trouble free. I recommended both of them for those who looking for a proactive volunteers. We enjoyed every second of our 17 day stay. It is truly a serine place. 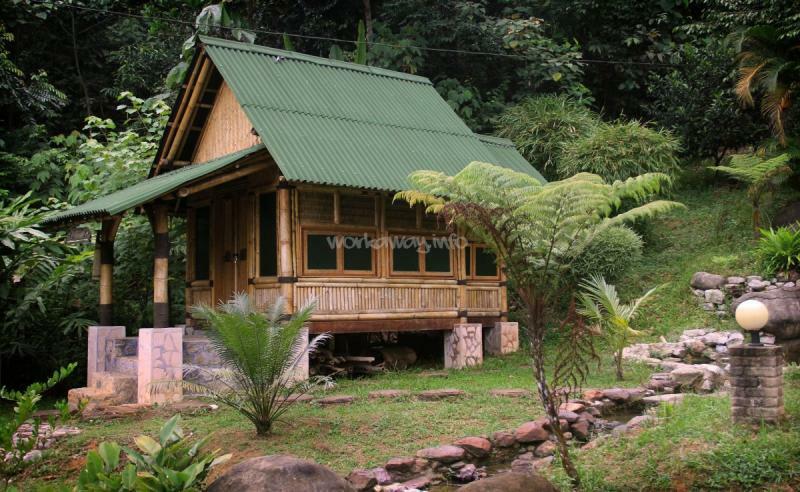 If your looking to get away from the city and immerse yourself in nature, then this is the Work Away for you. We spent our time cleaning up around the village and preparing bamboo that will be used to build the newest home on the property. It is amazing all the different… read more things that bamboo can be used for. Ramahdan is one of the leading experts on bamboo so he has a wealth of knowledge to share. We look forward to returning to Mayalsia and visiting here again. Thanks for the great experience, Ramadhan! Both of the is very supporting on helping me at the village.Together we go to the jungle to get bamboos for the next project and they had giving me a full support.With the help of other volunteers we explore the jungle and I think this is a new challange for them in their life.Thanks. Ramadhan and Katini are very nice people. We spent 10 days in this beautiful and peaceful place. It was really nice to wake up next to the jungle and see monkeys from our kitchen. 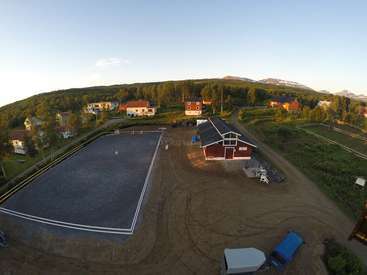 Our work consisted in cutting and order bambous, take off the weeds and other small tasks. Food wasn't provided during the stay but it was possible to cook : there is a… read more perfect kitchen. Moreover, Ramadhan invited us several times at the restaurant and drove us to the supermarket and laundry. Thanks to him we discovered great local food and we saw a fantastic bamboo resort ! It was a pleasure to work with Ramadhan. Thank you very much ! I enjoyed every single second there and learnt so many thinks. Thank you Ramadan for Every thing, I will miss your village. A beautiful place to get away from the hectic city! I loved staying here and being able to prepare for a visa with KL so nearby. Most of the work is during the weekends; cleaning the rooms and doing laundry. Go explore the jungle trail behind the place, there's so much to see! Take bus 450 to Suntex, from there 406 (same direction) to get… read more there. This place is amazing and away from the city. I had 8 days of amazing experience and my co volunteers are so friendly and nice. Good place to relax and the work is not stressful at all. 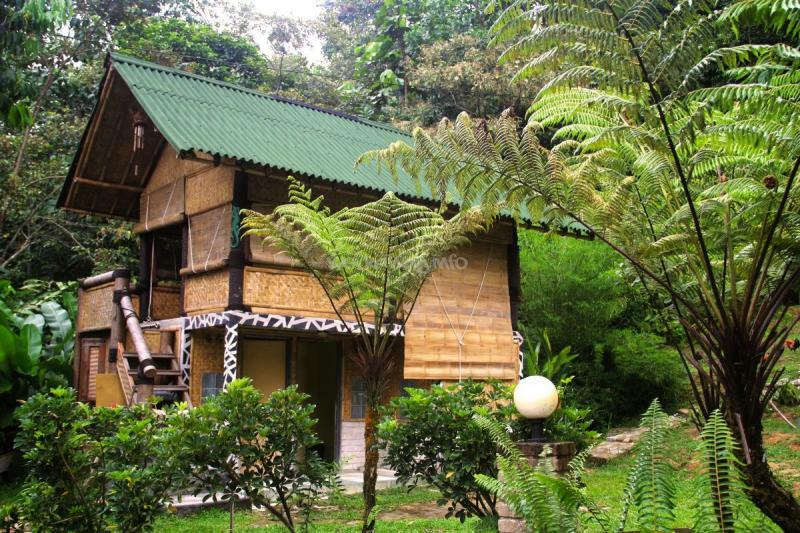 Thanks Ramadhan for letting me stay and experience living in the Frog house. This is Amazing place. I'm really appreciate my experience of 3 weeks and really want to back. Ramadhan is great man , and kindness. I liked ours conversation and learn about bamboo construction. You should also know that there is not much to see around unless you have a car. But Ramadhan was very kind to bring us to Putrajaya one day since we expressed interest. Thanks a lot! I'm sure it's one of the best places to find around KL. I was happy to stay one weekhere, I was there at the time of the Chinese New Year [8th February] and I discovered some nice Malaysian families. Quiet and wonderful place in good company. I really enjoyed the time with Lanzi and Ariane, frendly workawayers. Wonderful jungle with the visit of a monkey one day ! here is peaceful,and girl it's better have accompanied. I stayed here and volunteer for a week. Their place is nice and the work is a bit relaxed. I volunteered during Hari raya and a bit of work load since it was the peak season. Overall, nice place surrounded by forest. I stayed here a week in February and had an amazing week. Everybody was friendly and very welcoming. A lot of international travellers. The place is really beautiful and peaceful, great nature. Work was easy and relaxed. Thanks for having me hope I'll be back. While I only stayed for a week I really enjoyed my time there having come straight from KL. It's so peaceful - you really are in the jungle. And as for the work, as long as you put in a solid few hours a day whether it be housekeeping or landscaping (Ramadhan will sometimes have specific things he wants done, though it's mostly up to the volunteers to stay on top of it), everything runs very smoothly. Thanks for my week, I'll be back! We spent three wonderful weeks here. There have been a lot of volunteers from all over the world and we felt home straight away. It is located just inside the jungle and all the bamboo houses are so beautiful! Ramadhan is a great guy and we want to say thank you again! All we can say is go there for having a really good workaway experience! This is a very nice and relax place. Volunteers were given a lot of liberty regarding the work to do, Ramadhan really trusted us. Internet was on a honesty contribution basis at 1rm per hour. Small shops and restaurants are at 20 minutes walk and good supermarkets at 45. I recommend that place for people that want to relax and meet nice people! It was an amazing time to spend one month here. Great chillout place. Nice people and an unique atmosphere. There were 12. volunteers so wew didn't have to much work to do and the host (Ramadhan) was flexible about working hours, because it was very often too hot to do anything around the midday. I hope to come back one day. 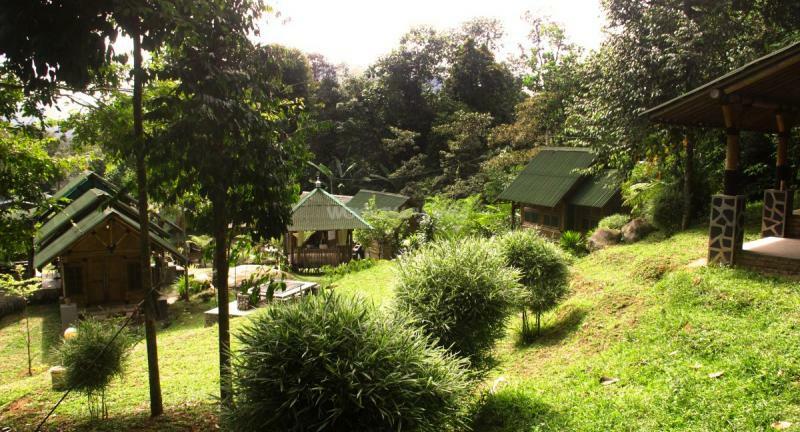 This is a great workaway that's near enough to KL to explore the area but far enough away that you can feel isolated. Like the title says, proactivity is key and if you wait around to be told what to do you'll have a rubbish time. Ramadhan and Zam are kind, funny helpful people who'll help you to explore the local area. Try not to step on the cats. We spent 2 great weeks in the village and had a really good time. Even though there's not so much to do all the time, then if you're active enough yourself you'll have plenty to do (gardening, cleaning etc) or just enjoy the amazing nature around you (trust us it's really hard to leave that beautiful jungle behind). We really miss all the cats,… read more chicken, monkeys in the jungle, hot spring and the passion fruit trees. Thank you for that awesome experience Ramadhan, Zam and Zaf:). Had a great time here, Ramadhan, Zam and Zaf are all really nice people. Zam and Zaf both taught is lots about the area and local knowledge. Ramadhan took us to an amazing night market and showed us lots of KL's attractions. It was a lovely time staying and working here. Although we did suffer from bed bug infestation in one of the bedrooms… read more which led to a big itchy rash. 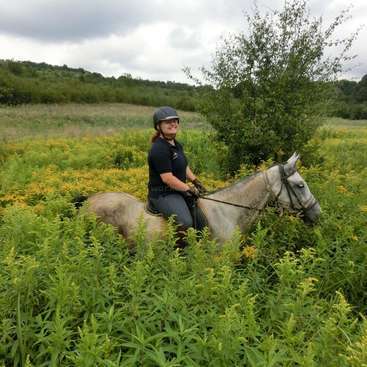 A great experience for me and my partner. Being surrounded by jungle and seeing monkeys everyday is a real treat and one off experience. The amazing cats will be your best friends there! Work is what you make of it, if you don't mind gardening you will fit in! Zam and Zaf were really nice guys and helped us a lot to learn new things. Overall a… read more really good time! Our first ever Workaway and it was fantastic! Big thanks to Ramadhan, very easy going and a great host. Thanks to the Volunteer family - THE DREAM-TEAM, a great group of hard working volunteers - Ken, Morgan,… read more Mechi, Tan, Bennie, Isa, my brother Tomasso and everyone else, all featured in the video!!! Big thanks to Zam Zoom, Matt & Saffron for good times and kisses from Jade to all the cats, chickens and fish (sorry we accidentally killed half your fish family but the cats we're very thankful. Lots to do here guys but like it says - PROACTIVE PEOPLE! Steve and Jade were a pleasure to host here for over one month. They are very hard workers and responsible and flexible. I wish you can come here again if you have time and we always welcome you. Thank you from Ramadhan. My American friend and me stranded here without money or plans, Ramadhan (host) Helped us with everything we needed, he and his friends are so friendly and welcomming you will feel home right away. Beautiful place, I hope someday I will be back to do something nice for the lovely people I've met here. This was the perfect place to run away from the city and discover the nature of the jungle.. Ramadhan has found a way to balance our human begins needs with what Nature has given to this country. and created a perfect spot made by bamboo. We spent a really pleasant time here. The place usually has guests only in weekends, so the rest of the week… read more you just have to enjoy it. And for enjoying it, you have to look after it and take care of its maintenance and cleaning, which is not a hard job… just love it as your own house. We made really good friends here!!! that made our experience even better. Thanks Ramadhan to let us enjoy this spiritual bamboo spot! I spent one week at the village and enjoyed my time there with the other volunteers and housekeeping. The atmosphere is very relaxing and the surroundings are beautiful. I was also lucky to share my time there with a movie crew which was a great experience. Thank you Ramadan for your hospitality. I am conflicted when I write this review..on the one hand Ramadan was a very fun guy, really interested in his projects and this is a beautiful oasis away from the hustle of KL. On the other hand, some of the maintenance workers hired by Ramadan made many of the volunteers feel uncomfortable and unsafe. During our two week stay there were a… read more couple incidents of inappropriate from a handy man where he approached some of the female volunteers asking about their showering habits and asking to take pictures of them. He had a friend who would join him aswell who sat around and asked all the female volunteers if they wanted to "go into the jungle" with him and who would stare rudely at all the women. The handy man was also seen by one of the male volunteers trying to spy on a couple in the shower. Ramadan was made aware of the situation and resolved to dismiss the employee, we left before this could happen so i am not sure if he is still there or not. My advice for any single female travelers is to be very aware of who is in the village at all times and to lock your door at night...we were told by other volunteers that the same handy man has been know to go into people's rooms at night. It was disappointing after all the beautiful nature and great volunteers we met at the Village and I hope in the future, people like this will not be tolerated. The village was my second ever workaway experience, and it was such an amazing, unique opportunity. Ramadan was great to all of his volunteers and had the most interesting stories. I was a single 21 year old female traveling alone, and I can say I felt extreme safe in this environment. Highly recommended to those wanting a very unique experience… read more in a very unique environment! Hello Ramadan! Despite not having much to do (besides light housekeeping and gardening), I enjoyed my stay at the village. It was a nice change of environment. The week I stayed there was quite entertaining with four other volunteers, film crew, and also your friends (Zam, Zafron, etc). Thank you for your hospitality! I spent a week here and loved it! It's true that there isn't much delegated work, but you can easily keep yourself busy with light gardening and housekeeping duties. I also helped out a bit with some internet marketing, so there's many different things to do if you want to! The atmosphere is also brilliant. It's very peaceful, and you are… read more surrounded by the sounds and animals of the jungle (plus a few cute kittens and baby chickens!!) Ramadhan is also a great guy, as is Zam, Matt and Patso who are kind of the grounds people (they stay at night to watch over the Village). I was by myself for half the time I was there, but these guys were so keen to include me and make me feel welcome, so I never felt lonely! Thank you for a fantastic week! I'll definitely be back again! I want to thank Ramadhan for this amazing place where I spent 3 weeks and never sorry about my decision to come here. Someday i wish i will come back. Ramadhan, i wish you all the best and good luck! It's not to much order there in volunteer work organisation. Many people found it as great possibilty to do nothing, but not me. Owner allow volunteers live in cottages when there is no guests, so nobody really care about volunteer's dorm. Really peaceful place. You can feel difference and understand silence of this place when will… read more go for shopping to close market by noisy and busy road. Not so close to city center (60-90min + 3,5RM), but you are in KL! Great, but too busy owner. We spent 3 weeks here! The work was very light, Ramhadan was very helpful and funny, his manager Nisan is crazy guy you must meet! Overall we will come back for sure! 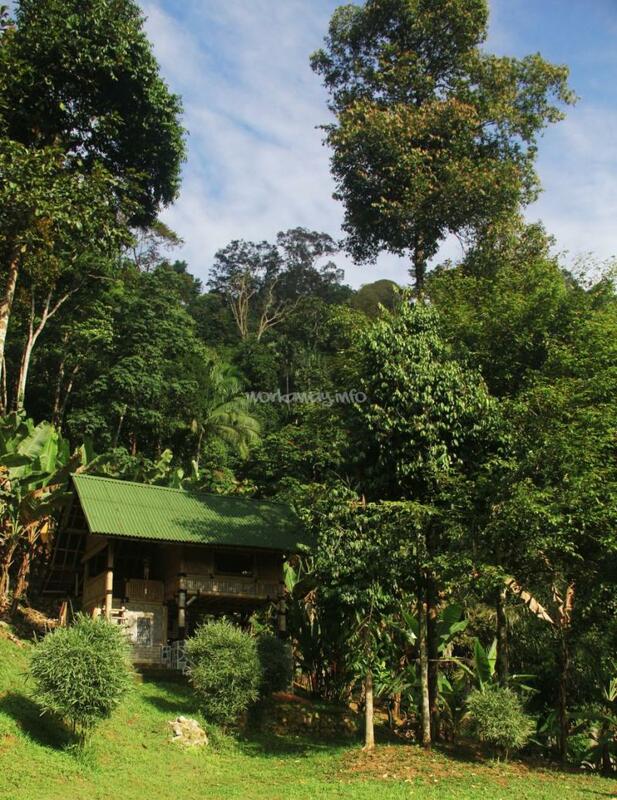 Very easy to reach from KL, but true jungles is guarantee! :) See you soon! 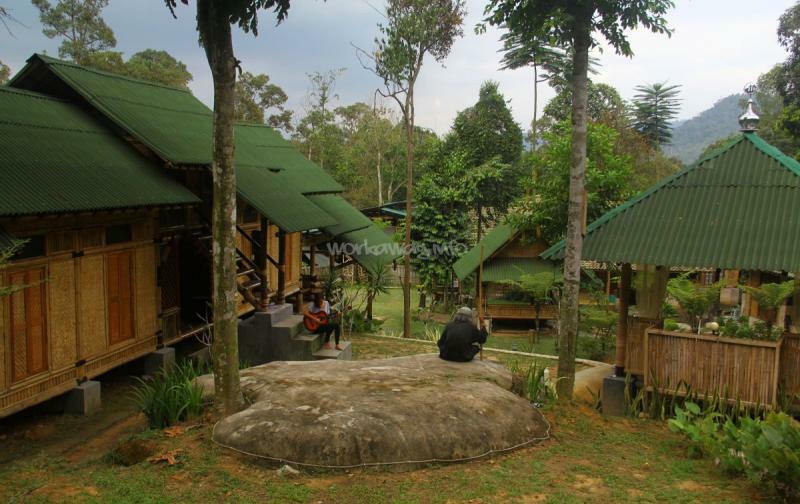 This is a beautiful location, very peaceful with gorgeous bamboo huts. The work is mostly housekeeping and light gardening. There is little delegated work so you will need to create your own projects to keep occupied. 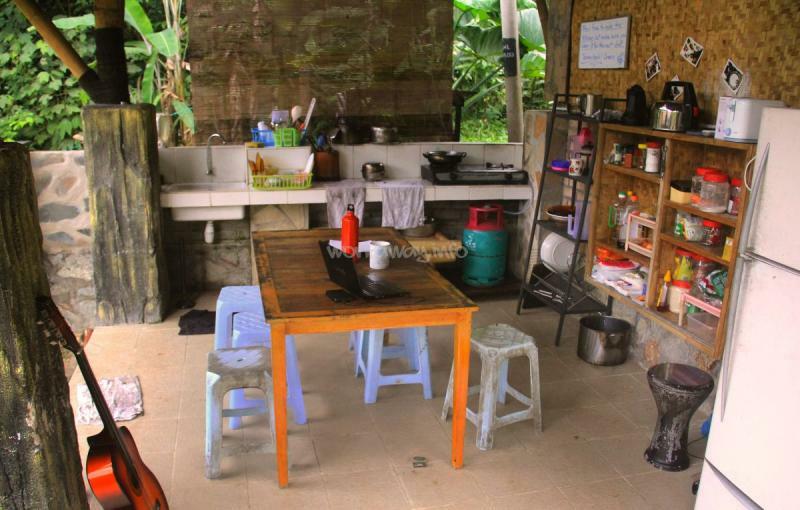 The host and his friends are extremely friendly and accommodating -- we made many friends while here and really felt like we… read more experienced a Malaysian slice of life. I stayed 4 weeks at this peaceful place and that should speak for it self! I was suprised to find such a place right next to KL, it is right in the jungle with all its facets. Ramadhan is a realy funny guy and was glad to be part of his staff. The work is not realy hard, mostly it was realy laidback work. Being here gives you the opportunity… read more to meet other nice volunteers and at the same time you will be able to get in touch with local people - never boring. 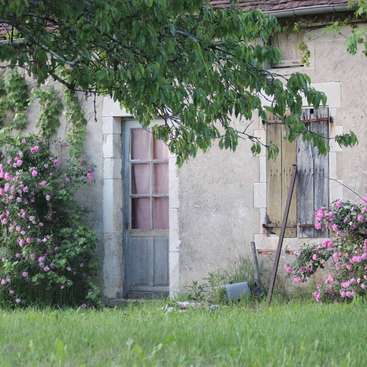 We have been for two weeks in this quiet place. It was our first experience as workawayers and has encouraged us to do it again. Ramadhan is a busy and funny man. He has never forced us to overwork and gives a lot of freedom to do the work. 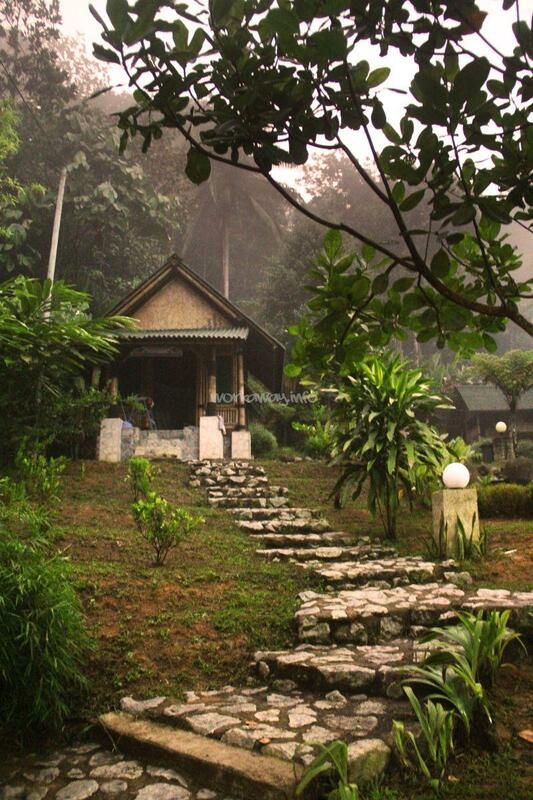 It is a peaceful, relaxing and mystical place in the middle of the jungle. A place where if you're not… read more careful you can spend a whole month! A very big hug to Ramadhan, Zam, Roman, Siiiiiimon and the little Jackie! Thanks for everything and see you again! That's a great place to be. The work is quite laid back and the place very relaxing. I will hopefully come back again when they are more volunteers.